Dr Hallab is a Professor in the Dept of Orthopedics, Dept of Immunology, and Dept of Anatomy and Cell Biology at Rush University. Dr Hallab received his PhD in Biomedical engineering from Tulane University in 1996. He has published over 100 articles in the area of orthopedics. teaches graduate courses in biomaterials and biocompatibility. He is the founder and CEO of a small business that performs metal sensitivity testing for orthopedic patients. Dr Hallab’s research is focused on understanding (1) how implant debris is produced and what forms it takes and (2) how this debris is interacts with the innate and adaptive immune systems. The long term goal of this lab is to improve implant performance by minimizing the biologic impact of implant debris. Eduardo García-Cimbrelo received his M.D. from the University Complutense of Madrid (Spain) in 1970, He has been working always at Hospital La Paz in Madrid since January 1971 and became Head of Orthopaedic Surgery of the same hospital in 2005 until 9th November 2016 (retired at 70 year-old). Currently he is Emeritus Hospital La Paz, and Idi-PAZ (Research Institute) member. He is Founder-Member of the European Hip Society (October 1992), and President of the EHS (2006-2008). He is also Full-Member of the International Hip Society from 2002, and Past President of the Spanish Hip Society from 2012 to 2014. He had published books, chapters, and different peer-reviewed papers in English literature on primary and revision surgery of the hip. Clinical associate professor Wayne State University with over 20 years of orthopaedic research and education experience. He completed a two year post doc research fellowship at McGill University and a one year major joint fellowship. He returned to the Henry Ford Hospital program from 2003 to 2011. He has over 50 peer reviewed publications, 2 book chapters, and 8 editions of “A Manual of Orthopaedic Terminology”. He authors a weekly “Basic Science Tip of the Week” for 30 programs and the Orthopaedic Research Society’s newsletter. Terry Lichtor, MD, PhD is a practicing neurosurgeon. He has a number of research interests, and his brain tumor work is largely focused on the development of a DNA vaccine for treatment of primary and metastatic intracerebral tumors. In particular Dr. Lichtor has shown that vaccines prepared by transfer of DNA from the tumor into a highly immunogenic cell line stimulates an antitumor immune response which may be efficacious in the treatment of patients with brain tumors. Other research interests include developing a passive immunotherapeutic strategy for treatment of Alzheimer’s Disease. In addition, he has been involved in the development of a non-invasive MRI technique to measure intracranial pressure and brain compliance, and has been exploring the efficacy of this modality in managing a variety of patients with neurologic problems where intracranial pressure is an issue. Dr. Lichtor is a member of the neurosurgery faculty at Rush University Medical Center in Chicago, Illinois. Olivier Bruyère, Ph.D., is currently Professor of Clinical Epidemiology in the Department of Public Health Sciences and of Geriatric Rehabilitation in the Department of Sport Sciences of the University of Liège in Belgium. He is head of the Research Unit in Public Health, Epidemiology and Health Economics in this University. His main fields of interest are prevention, rehabilitation and pharmaco-epidemiology related to geriatric or rheumatic conditions. He is author of more than 200 international scientific publications and book chapters. Dr. Feise is currently the President of the Institute of Evidence-Based Chiropractic. He has published over 40 papers in peer-reviewed chiropractic and medical journals, and has presented at chiropractic and medical conferences. He serves on the Editorial Board of The Open Orthopaedics Journal, BioMed Central Complementary and Alternative Medicine and BioMed Central Musculoskeletal Disorder. He is also a Peer Reviewer for Journal of Manipulative and Physiological Therapeutics, Spine, Lippincott, Williams & Wilkins Medical Education & Health Professions, McGraw-Hill/Allied Health Division and Medical Science Monitor. Stuart B. Goodman is the Robert L. and Mary Ellenburg Professor of Surgery, and Professor with Tenure in the Department of Orthopaedic Surgery and Professor of Bioengineering at Stanford University. He is a Fellow of the Institute of Chemistry, Engineering and Medicine for Human Health (ChEM-H) at Stanford University and was recognized as a Fellow, Biomaterials Science and Engineering (FBSE) by the International Union of Societies, Biomaterials Science and Engineering in May 2004, a Fellow of the Japanese Society of the Promotion of Science in 2011, and a Fellow of the American Institute of Medical and Biological Engineers in 2012. Dr. Haas, who holds a master’s degree in physics from the University of California at Berkeley and his doctor of chiropractic degree from Western States Chiropractic College, is Associate Vice President of Research at the University of Western States in Portland, Oregon, USA and Adjunct Associate Professor in the Neurology Department at Oregon Health & Science University. He has been the principal investigator for a number of federally-funded randomized trials, evaluating chiropractic care for low back pain and headaches, and has conducted four trials on construct validity and efficacy of indicators for spinal manipulation. He sits on the editorial board of six journals and has published many papers in peer-reviewed journals. Dr. Lynne Jones is an Associate Professor of the Department of Orthopaedic Surgery at the Johns Hopkins University. Her research focuses on the study of adult osteonecrosis and osteoarthritis, bone grafting and cell-based therapy, and factors influencing the long-term outcome of total joint replacement. Working in collaboration with orthopaedic surgeons, residents, and fellows, Dr. Jones is studying the role of bone marrow cells in the pathogenesis of osteonecrosis. Dr. Jones received her B.S. in Biology from Ursinus College, her M.S. in Biology (focus: endocrinology) from Towson State University and her Ph.D. in Molecular Microbiology and Immunology from the Johns Hopkins University. Since 1977, Dr. Jones have been engaged in orthopaedic research at the Johns Hopkins University regarding both basic and clinical science. Professor Shin-Yoon Kim, MD, Ph.D., is currently Professor in the Department of Orthopaedic Surgery at Kyungpook National University, Daegu, Korea(south). Dr. Kim is a member of the International Hip Society, SICOT, and ORS. He is also a member of the National Academy of Medicine of Korea. He was Past-President of Korea Orthopedic Research Society, Korean Tissue Engineering and Regenerative Medicine. Now he is the president of Korean Hip Society. He, as an author/co-author, has been involved in the publication of more than 290 articles in various journals from around the world, having a significant number of total citations. He has published mainly in the subject areas of Hip arthroplasty, Genetics and Bone Biology. Dr. Fu-Chih Lai is the Associate Professor at Taipei Medical University. He did Bachelor, of Nursing fromTaipei Medical University in 1999, he did Master in Nursing from Case Western Reserve University in 2002. Dr. Lai has completed his PhD. in Nursing from Kent State University in 2007. Dr. Takatomo Mine currently works in the Department of Orthopedic Surgery, National Hospital Organization Kanmon Medical Center 1-1 Chofusotoura, Shimonoseki, Yamaguchi, Japan. Since 2009, he is an Associate professor (clinical), at Yamaguchi University School of Medicine. Also he is Director of Orthopedic Surgery & Rheumatology, Kanmon Medical Center, Yamaguchi. Dr. Mine Major research interests are Knee surgery, Rheumatoid Arthritis, Sports Medicine and Biomechanics. He has numerous contributions and notable scientific publications to his credit. Iulian Nusem, male, orthopaedic surgeon, graduated from Sackler Faculty of Medicine, Tel-Aviv University, Israel in 1990. Completed his training in orthopaedics at the Tel-Aviv Sourasky Medical Centre, Israel in 1997. He then undertook further training in hand surgery at Kaplan Medical Centre, Rehovot, Israel, in Bone and Cartilage Transplantation and Joint Revision Surgery at the Princess Alexandra Hospital and Queensland Bone-Bank, Queensland, Australia and in Adult Joint Reconstruction at the Prince Charles Hospital and Queensland University of Technology, Queensland, Australia. He is currently the Director of Orthopaedics at Logan Hospital, Queensland, Australia and deputy clinical director of the Queensland Bone Bank. He has been appointed Associate Professor in Orthopaedics within the Faculty of Medicine, Griffith University, Gold Coast Campus, Queensland, Australia. He has published numerous papers and has presented in numerous national and international scientific meetings. Dr. Bao-Gan Peng, has done PhD, and current he has various positions like, Chief Doctor, Director, Professor. Department of Spinal Surgery, General Hospital of Armed Police Force, Beijing 100039, China. His research interest is Arthritis and Rheumatology, General and Internal Medicine, Oncology and Carcinogenesis, Orthopedics Surgery. Dr. Nikolaos Sferopoulos was born on the 23 rd January 1959. He received his Medical degree and PhD from the School of Medicine of the Aristotle University of Thessaloniki and completed his Orthopaedic residency in Thessaloniki, Greece. He has participated as chapter author in a medical book. He has 65 publications. He works as Consultant Orthopaedic Surgeon, in the 2nd Department of Orthopaedic Surgery, Aristotle University of Thessaloniki, “G. Gennimatas” Hospital, 54635, Thessaloniki, Greece, since 1990. Dr. Jun Takahashi is currently affiliated to Department of Orthopaedic Surgery, Shinshu University School of Medicine 3-1-1 Asahi, Matsumoto-city, Nagano 390-8621, Japan, continuing research in the specialized scientific area of Orthopaedic Surgery. 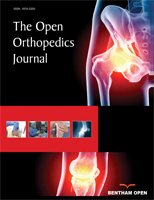 Dr. Jun Takahashi is serving as an honorary reviewer for Orthopedics and Muscular System: Current Research & other reputed journals and has authored several articles along with chapters in different books related to Orthopaedic Surgery. Dr. Uehara is currently working at the University of Tokyo hospital in Japan. His specialty is hand and elbow surgery, especially, CMC joint arthritis, Dupuytren disease, patient reported outcome measure, and ultrasonography for the upper extremities. In Tokyo university, he is researching, teaching the students, residents and fellows, additionally performing the surgery for the patients with hand disorder or trauma. Dr. Feng-Sheng Wang, is associated with the Department of Medical Research, Kaohsiung Chang Gung Memorial Hospital, Chang Gung Medical Foundation. He has done PhD of Animal Science, from National Taiwan University, Taipei. He got award of Award for Excellent Advisor of Juvenile Scientist Education Program, National Science Education Center, Taiwan. His research interests are Skeletal remodeling, Cartilage biology, Mesenchymal stem cell biology, Molecule Medicine, Epigenetics, Phenomics. Anita Wluka is a clinical Rheumatologist and a member of the Musculoskeletal Unit in the Department of Epidemiology and Preventive Medicine, Monash University. Her research focuses on the epidemiology musculoskeletal conditions, with special interest in osteoarthritis, back and foot pain. She is also involved in a number of clinical trials evaluating the use of novel therapies in the management of musculoskeletal conditions. Berardo Di Matteo is a consultant surgeon in the “Center of functional and biologic reconstruction of the knee”, Humanitas Clinical Institute, Milan (Italy). He completed his residency at the Rizzoli Orthopaedic Institute of Bologna, under the mentorship of Prof. M. Marcacci and Prof. E. Kon. He was also clinical Fellow at the department of Orthopaedics of Regensburg University (Germany), under the tutorship of Prof. P. Angele. His main research interest are: regenerative medicine (biomaterials, PRP, stem cells, meniscal scaffolds) to treat cartilage disorder; hip and knee replacement; sports traumatology. He is currently an active member of several international Societies such as ESSKA, ICRS, SIGASCOT. Prof. Jiri Gallo is the Head of the Department of Orthopedics, Faculty of Medicine and Dentistry, Palacky University Olomouc and Faculty Hospital Olomouc, Czech Republic. He has wide experience in clinical research in the field of orthopedics. His main interests include causes of failure of total replacements, especially the aseptic loosening, periprosthetic osteolysis, and prosthetic joint infection; he collaborates with immunogeneticists, microbiologists, bio/chemists, biomechanicists, tribologists, statisticians, and other specialists on these complex research tasks. He also is a proficient lecturer and author of scientific papers as well as several monographies. Dr. Jesse Jupiter is an orthopedic surgeon in Boston, Massachusetts and is affiliated with multiple hospitals in the area, including Massachusetts General Hospital and Newton-Wellesley Hospital. He received his medical degree from Yale University School of Medicine and has been in practice for more than 37 years. Dr. Jupiter accepts several types of health insurance, listed below. He is one of 171 doctors at Massachusetts General Hospital and one of 71 at Newton-Wellesley Hospital who specialize in Orthopedic Surgery. Prof. Hoemann received a PhD from MIT, and spent 5 years as Research Director in a medical device company where she invented a BST-CarGel®, a biomaterial deivce for articular cartilage repair. She is currently a Professor of Biomedical Engineering at the Ecole Polytechnique, Montreal, a Fellow Member of the International Cartilage Repair Society, member of the Orthopedic Research Society, on the editorial board of Cartilage and TOORTH, and co-founder of ORTHO-RTi. Her translational research program aims to bring new treatment options to patients with arthritis and non-union bone lesions. Dr. Yuichi Kasai is Professor of Spinal Surgery and Medical Engineering & Director of International Medical Support Center in Mie University School of Medicine, Japan. I have nearly 30 years of experience in spinal surgeries, biomechanical studies, and pain managements. Tadpole system, which is my produced spinal instrumentation, is sold by KiSCO Co. Ltd, Kobe, Japan. Recently I have done more than 300 charitable surgeries in foreign countries, especially in Myanmar. Dr. Andrew P. Kurmis is a consultant Orthopaedic Surgeon, who principally trained in Adelaide, South Australia before undertaking overseas fellowship training in Vancouver, Canada. His clinical interest is adult lower limb arthroplasty, specialising largely in hip and knee primary and complex revision procedures. Dr. Kurmis completed his PhD in 2003 and spent three years as an Orthopaedic Post-doctoral fellow. He currently sits on the Editorial Boards of three international journals while maintaining his own diverse research interests. He has 40 peer-reviewed publications and has been an invited guest speaker at a number of international conferences. He is a Senior Clinical Lecturer with the University of Adelaide (Discipline of Medical Specialties) and is a perennial teaching award winner. He is an EMST (ATLS) course Director and sits on the Australian National Committee. Dr. Liebschner is a Senior Consultant within the Forensic Engineering Division of Rimkus Consulting Group, Inc. Further, he is an Associate Professor at Baylor College of Medicine and the Michael E. DeBakey VA Medical Center. He has more than 20 years of experience in research, discovery and innovation related to orthopaedic biomechanics. Specifically, his interests are in optimizing diagnostic and treatment options of orthopaedic injuries. Dr. Liebschner holds a Ph.D. in Mechanical Engineering from the University of Vermont and a M.S. in Mechanical Engineering from the Ruhr University in Germany. He has authored more than 50 manuscripts, 130 conference proceedings, 12 book chapters, and 10 patents. Dr. Liebschner received numerous awards and recognitions for research excellence on technical, research, and design fundamentals. Dr. Mok is the head of the Division of Rheumatology, Department of Medicine, Tuen Mun Hospital. He is the past president of the Hong Kong Society of Rheumatology. His research interest is systemic lupus erythematosus and glucocorticoid-related osteoporosis. He has written more than 200 articles as the first author in top rheumatology and medical journals. Dr. Mok is on the editorial board of more than 15 rheumatology journals, and is a reviewer of more than 50 medical and rheumatology journals. Dr. Marks, Clinical Professor, York College, City University of New york, and Adjunct Professor, Teachers College, Columbia University has expertise in several areas: arthritis, falls, obesity; hip fractures; health promotion and practice; patient provider communications, pain and chronic disease prevention and management. She has authored many scientific papers and book chapters. She has served as the Director (2005 - present) of the Center for Health Promotion, School of Health Sciences and Professional Studies, City University of New York, York College—a non-profit Public Health Education Center with a 20 year history of serving the local community. She is Founding Director of the Osteoarthritis Research Center, Canada. Dr. Itaru Oda, has done Ph.D and currently is the Director at Center for Spine Surgery, Hokkaido Orthopaedic Memorial Hospital Japan, Hi research fields are Skills and Expertise, Spine Surgery, Spinal Biomechanics, Spine Research, Cervical Spine, Spine Biomechanics. Dr. Oda completed his Ph.D from Hokkaido University Graduate School of Medicine, Japan. Mr. Lucio Rovati serves as the Vice Chairman and Chief Scientific Officer of Rottapharm S.p.A. and served as its Managing Director and Executive Medical Director. Mr. Rovati is a Founder at Rottapharm and serves as Chief Executive Officer/ Chief Scientific Officer at Rottapharm Biotech. He joined Rottapharm in 1988 as Chief of the Clinical Pharmacology Dept. Mr. Rovati is an Advisor at Panakès Partners SGR SpA. He is an Invited Professor at the University of Milano-Bicocca. Dr. Mohammed Sharif has done PhD. form U.K. He is senior lecturer at University of Bristol. His Area of research is i) Early pathological changes in joint tissues; and (ii) Development of novel and sensitive tools for detecting early changes in OA. Dr. TAKAGI Michiaki has done Doctor of Philosophy from University of Helsinki in 1997. Dr. Michiaki filed of expertise are Biomedical engineering/Biomaterial science and engineering Orthopaedic surgery. Currently, he is associated with Faculty of Medicine, School of Medicine, Department of Orthopaedic Surgery, Yamagata University. René van Donkelaar obtained his PhD degree in 1999 at the Maastricht University, after which he moved to the Biomedical Engineering Department of the Eindhoven University of Technology in The Netherlands, where he is currently appointed associate professor in cartilage mechanics. Using fundamental insights on the mechanical behavior of cartilage, he established a well-recognized computational model of cartilage mechanics. The main asset of this model is that it directly links biochemical contents (distributions of proteoglycans and collagen) and structural features (collagen fiber orientation), to mechanical properties. This fundamental work on cartilage mechanics has been applied to develop loading protocols for cartilage tissue engineering, and understanding tissue adaptation and degeneration. Present focus is on adopting the insights on how adverse mechanical loading leads to progression of osteoarthritis, to develop diagnostic tools and superior methods for clinical intervention for treatment of osteoarthritis. M Mohammad Waseem is a consultant upper limb and trauma surgeon in Macclesfield UK for last 14 years.He is fellowship trained in UK and two travelling fellowships in Germany and Switzerland. He also holds Honorary Senior Lecturer Edge Hill University Ormskirk, Lancashire.He is a external Examiner and Faculty SZAB university PIMS Islamabad Pakistan and Visiting Professor of Trauma & Orthopaedic Surgery,University of Health Sciences,Lahore. He is also a visiting expert for Ministry of Health UAE. He is active in research and teaching and currently the local educational supervisor. Shoulder trauma and arthritis with Upperl Limb sports injuries are his main clinical interests. Zijun Zhang, MD, PhD, serves as Director of the Orthobiologic Laboratory, Department of Orthopedics and Sports Medicine, at MedStar Union Memorial Hospital in Baltimore, and conducts research in the fields of bone regeneration, cartilage repair, tissue engineering, stem cell biology, and cartilage biology. His work focuses on the clinical translation of stem cell technology and biologics to regenerative medicine and orthopedic surgery. Dr. Zhang's research has been funded by several agencies, including the Department of Defense. His work has received numerous national awards and has produced many peer-reviewed publications. He serves on the editorial boards of several journals and reviews manuscripts for more than ten professional journals. In addition, he participates on review panels and evaluates grant applications for several agencies, including the National Institutes of Health (NIH). He earned his medical doctor (MD) degree as well as his Ph.D. from the medical school of the National and Kapodistrian University of Athens, Greece. Following his specialization in Orthopaedic Surgery, he pursued post doctoral education at the Academic Unit of Trauma & Orthopaedics of Leeds General Infirmary in Leeds, Great Britain, completing a Clinical Fellowship in Orthopaedic Surgery and Trauma. He is currently an adjunct faculty member of University of West Attica, Athens, Greece. His research includes scientific fields such as Orthopaedic Trauma, Sports Medicine and Knee Surgery. He is serving as an editorial member of many international journals and is an expert reviewer of several reputed medical journals. He has authored numerous national and international research articles and has also contributed in the authorship of several books related to Orthopaedics and Physical Rehabilitation. Mr Tzatzairis obtained his Medical degree in Democritus University of Thrace in 2010. After that, he was trained in Trauma and Orthopaedics in University Hospital of Alexandroupolis. In March of 2018 he was awarded with the MSc Certificate after supporting his thesis (graded 10/10). During his training he started his PhD which will be completed in a few months after defending his thesis. After completing his training, he was appointed as Paediatric Orthopaedic Fellow at Royal London Hospital 1 year ago where he’s working at this moment. His main area of work was adults’ hip/knee reconstruction but he’s currently evolving his career with special interest in children’s Trauma and Orthopaedics (DDH/CTEV/Paediatric Trauma). He is an expert reviewer in several reputed journals and has numerous research publications.